Whipped up by Purple Soup Team Building, the Supreme Chef challenge will have your team feeling the heat as they compete to create a delicious, mouth-watering feast for all to share. Each team will be given the same ingredients and a tight time-frame in which to create their culinary masterpiece. Who knows – will they produce a pie, concoct a casserole or rustle up a ratatouille? Only one team will end up earning the title of Supreme Chef – but everyone will be rewarded by eating the end results. This is a team-building event that will fire up the appetite of your team members- and leave them hungry for more! Purple Soup Team Building can customise this event to suit your team’s requirements including high quality medallions for first, second and third place teams that can incorporate your logo. 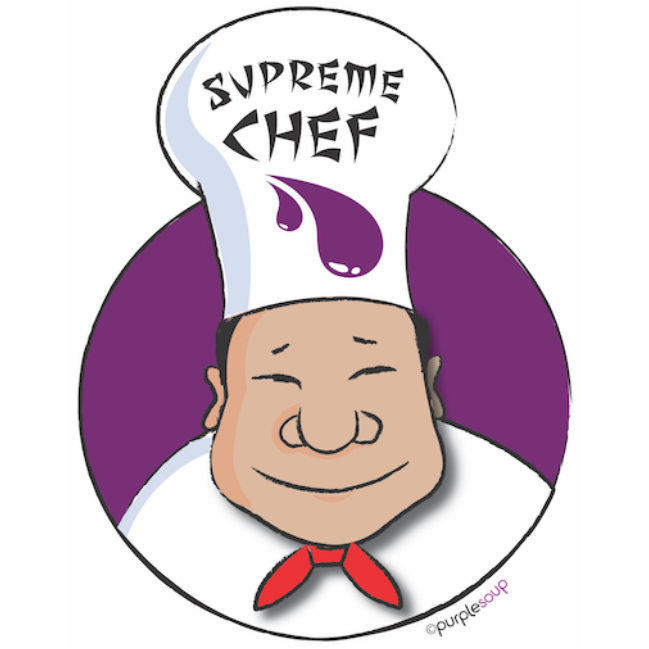 Why choose Purple Soup’s Supreme Chef?